Choosing a mortgage can be difficult at the best of times. It can sometimes feel next to impossible considering the jumble of complicated financial jargon, which is another reason it is great to have a mortgage broker in your corner when looking to finance your home. For people looking to find a good deal on a home loan or a mortgage in the Sunshine Coast but don’t have an MFA (or even if you do and just need a brush-up), here are five of the most commonly used mortgage terms, and a brief explanation of each. If you are going through a stack of mortgage offers, refer to this short little guide to make sure you understand what you are reading. Annual Percentage Rate (APR): The APR is the most familiar mortgage term that most people look into first. 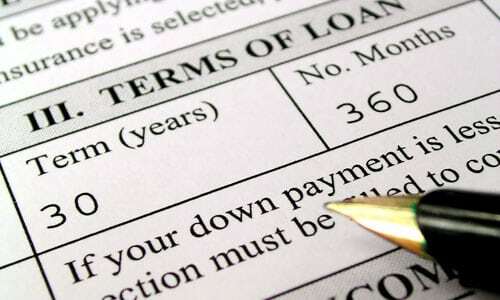 It is the annual rate charged for borrowing funds. The APR is expressed as a single number that represents the cost of borrowing funds, per year, over the course of a mortgage, including fees and extra costs. Balloon Mortgage: A balloon mortgage is a short-term mortgage, requiring borrowers to make regular payments for a set amount of time, then pay off the remainder of the balance in a short span of time. An example of a balloon mortgage might be paying only the interest on a mortgage for ten years, then paying the dividend at the end, in one lump sum. Closing Costs:Right beside the APR, the closing costs are one of the most important numbers to pay attention to, particularly when signing a mortgage for the first time. Closing costs cover all of the expenses, above and beyond the price of the property that can be incurred from closing on property. Closing fees can include loan origination fees, discount points, appraisal fees, title searches, title insurance, taxes, surveys, credit report charges, and deed recording fees. Valuation: The valuation is a formal process that determines the value of property, as ascertained by an authorised individual known as a valuer. The valuation is used as the basis for the initial mortgage, as well as any refinancing down the road. Need more help understanding your Sunshine Coast mortgage? Talk to a Sunshine Coast mortgage broker today!